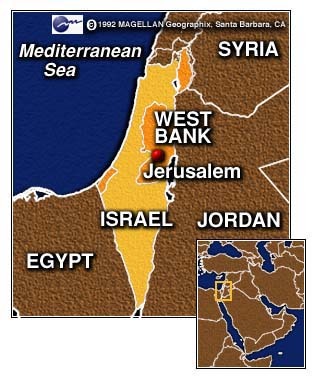 JERUSALEM (CNN) -- The Israeli government has appointed a special commission to investigate an alleged assassination attempt against a Hamas leader by Israeli agents in Jordan last month. But at a news conference announcing the commission Monday evening, an unrepentant Prime Minister Benjamin Netanyahu -- who has come under heated criticism both at home and abroad as details of the failed operation have emerged -- defended the use of secret operations against suspected terrorists. "As prime minister I have the duty, the supreme duty, to fight in every possible way against this dreadful terror. This is a battle without compromise. This is not a battle of words. It's a battle of deeds," Netanyahu said. While acknowledging there had been an incident in Jordan that had "harmed" relations with that country, Netanyahu would not discuss the specifics of any Israeli operation. He did not confirm reports in the Israeli media, and from Jordanian officials, that an assassination attempt had been made in Amman on Khaled Mashaal, a Hamas political leader. But he did defend, in broad terms, the use of covert operations to combat terrorism, saying it "is justified and we stand behind it." "Every now and then, as in every war, there are failures, and there are risks. As prime minister, I assume the total responsibility for the fight against terror, both when there are successes and when there are (failures)." He bristled when asked by a journalist whether he would resign if the special commission found him at fault for the failed operation in Jordan. "I have to look into the eyes of pictures of those children, those citizens who have died in those terror attacks. I have to do some soul searching every day," he said. "I have no intention of stopping the activities of this government against terror." Two agents from the Mossad, Israel's top secret spy agency, reportedly tried to kill Mashaal by injecting him with poison. The agents were captured by Jordanian officials; Mashaal survived. The assassination attempt angered not only Jordan but also Canada, because the Mossad agents were reportedly carrying forged Canadian passports. Jordan announced Monday that it had released the two suspected Mossad agents and allowed them to return to Israel. In return, Israel released at least 19 Palestinians and Jordanians held in Israeli jails. Israeli Infrastructure Minister Ariel Sharon, who has been coordinating the deal with Jordan, announced that 40 to 50 more Arab prisoners would be released in about two weeks. But he stressed that those released would not be "terrorists with blood on their hands." The most high-profile release in the wake of the Jordanian incident has been Sheik Ahmed Yassin, the spiritual leader of Hamas, who was freed last week and taken to Jordan. Monday, he made a triumphant return to Palestinian-controlled Gaza. But Netanyahu downplayed the link between the two events, saying Israeli authorities were already considering releasing Yassin because he was in ill health. He said the Israeli government was concerned about what might happen if he died in an Israeli jail. The prime minister strongly denied that any direct deal had been made with Hamas. "We have not negotiated with Hamas. 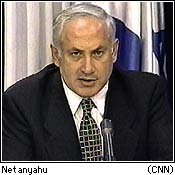 We do not negotiate with Hamas," Netanyahu said. 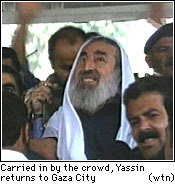 A Jordanian military helicopter carrying Yassin, a 61-year-old quadriplegic, touched down in Gaza Monday afternoon. He was then driven to a sports stadium to address several thousand followers. "There must be no divisions among the Palestinian people," Yassin whispered to an aide, who repeated the words for the crowd. Supporters whistled and chanted "Allahu Akbar," or "God is great." In Ottawa, Canadian Foreign Minister Lloyd Axworthy said while Israeli officials have expressed regret about the use of Canadian passports, he has yet to receive assurances that Mossad will stop using Canadian documents in the future. Canada recalled its ambassador from Israel in protest.